Taking students out of the classroom and into a variety of settings, ranging from remote wilderness sites to urban or built environments is now recognized as a valuable means of teaching ecological concepts and environmental values. But field studies are also a way of encouraging explorations across the curriculum, enhancing the teaching of life sciences, literature, and creative writing. 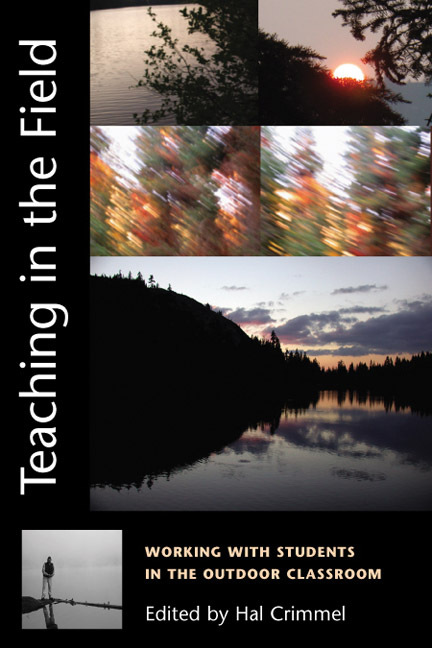 Teaching in the Field is the first volume to specifically survey field studies conducted through colleges and universities. The essays, arranged into three sections, offer rationales, pedagogical strategies, and foundational advice and information that broaden and strengthen the collective knowledge of this increasingly popular means of instruction. The essays present theoretical information within engaging, candid narratives that report on various aspects of field experiences, whether hour-long excursions or month-long trips. Teachers of environmental studies, of English, composition, and creative writing, and of allied humanities and science disciplines, will find here a wealth of success stories and cautionary tales to guide them in envisioning their own outdoor classrooms. Hal Crimmel is assistant professor of English at Weber State University in Ogden, Utah.